Free Shipping Included! 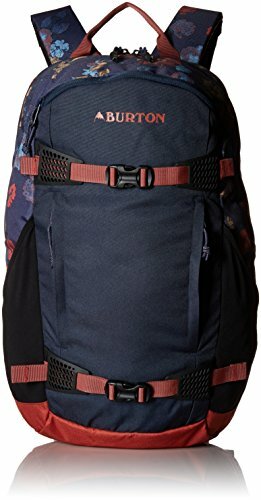 Burton Women's Day Hiker Backpack [25l], Mood Indigo Wildflowers, One Size by Burton at APT Boots. MPN: 15291105613NA. Hurry! Limited time offer. Offer valid only while supplies last. Ever since the dawn of Burton, the legendary Burton day hiker pack has surpassed all others and risen through the ranks as the undisputed champion. Ever since the dawn of Burton, the legendary Burton day hiker pack has surpassed all others and risen through the ranks as the undisputed champion. Featuring a lightweight, low-profile design, the ride-ready function of a super secure board carry system, ergonomic women's-specific shoulder harness, and dual water bottle pockets, the women's Burton day hiker pack 25L has everything you need for exploring the great outdoors. And because school and work are just stops on the way to the mountain, the day hiker's padded laptop sleeve, accessory pockets and internal organization create one highly versatile pack that truly rules them all.